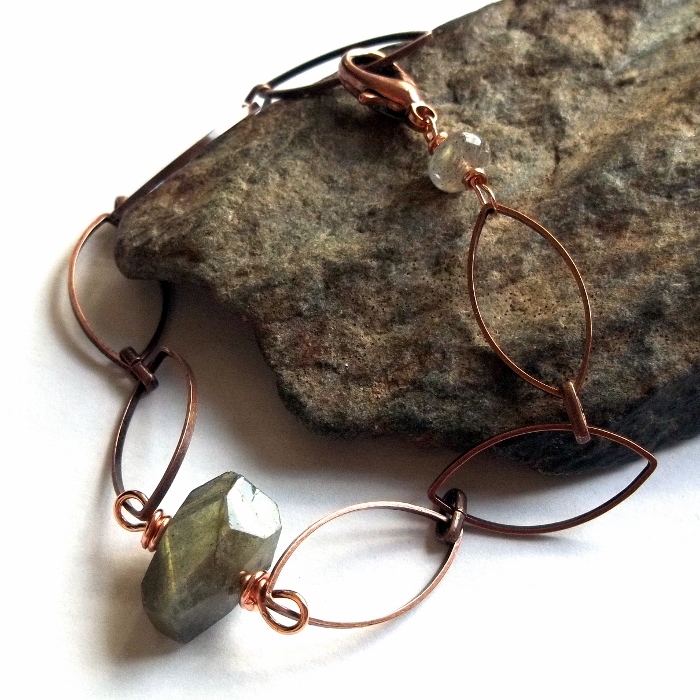 A stunning flashy thick labradorite faceted gemstone nugget set on a copper chain bracelet with more labradorite wrapped into the clasp. 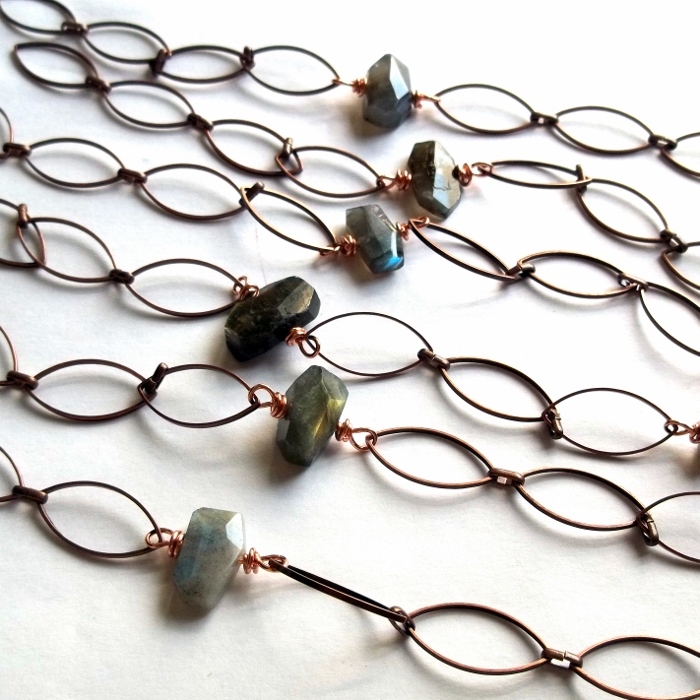 Labradorite is used for is courage, clarity, and co-dependency. Some like to use this gemstone to heal mental confusion and indecision, it allows one to make decisions easily. 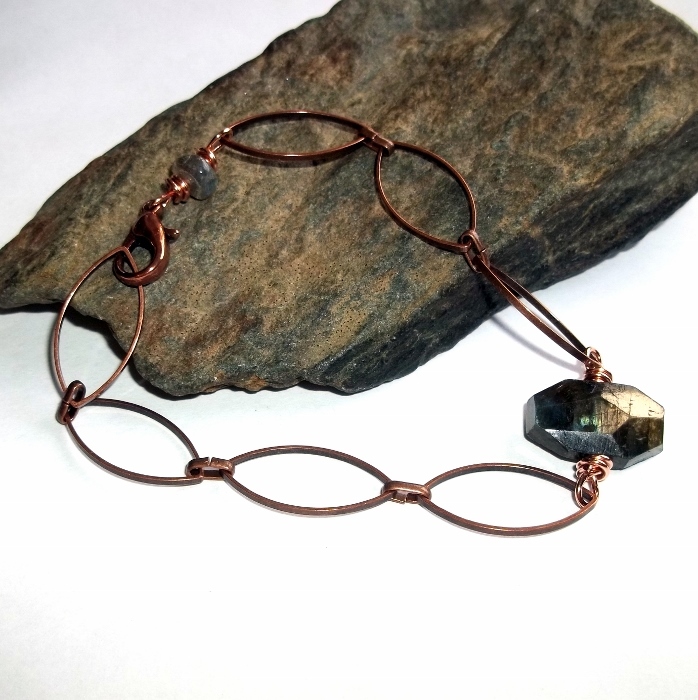 This gemstone is also about transformation on all levels, it allows for easy changes to take place, especially good for those who fear change. It also allows for us to understand ourselves on a deeper level, lets us know who we really are in a bold and distinct way. 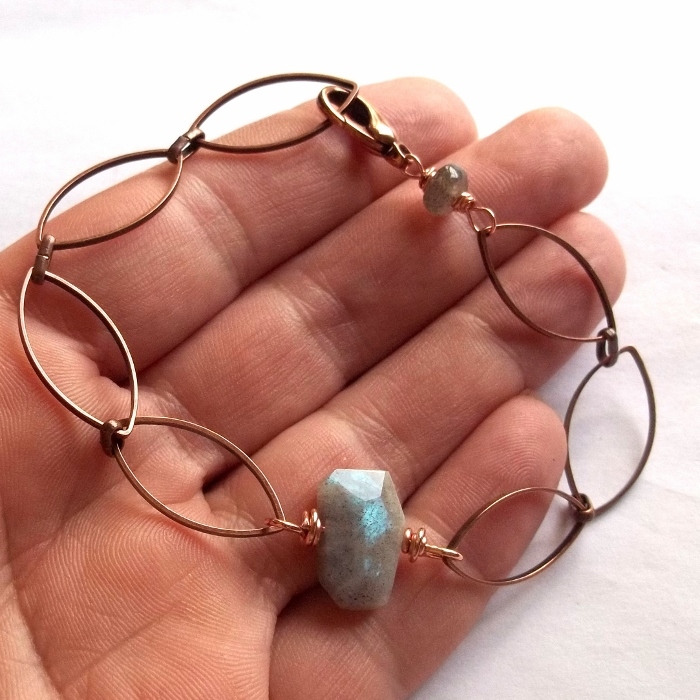 Labradorite builds and strengthens the immune system. Labradorite nuggets are superior quality and all have tons of flash. Six bracelets shown in the last photo, you will receive one of these six bracelets. The bracelet is 8 1/4 inches long and finished with a lobster clasp.